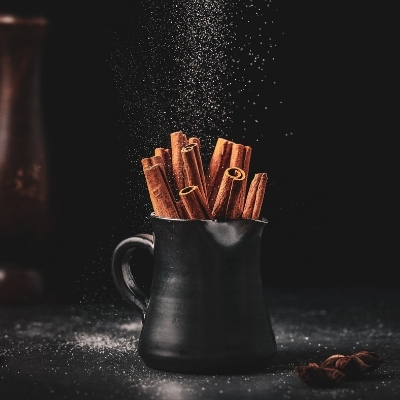 We have combined the best cinnamon spice with the most scrumptious creamy, dreamy vanilla and this is what we got- sheer heaven! This fragrance will discolor C.P soap to a light brown color due to the vanilla content. Soap with lower temps. 100 degrees F.
use .3 oz per pound of oils in C.P Soap.